The following is from KHS (Kentucky Humane Society) the computer locks up every time I try and attach a photo (she is pure) if you can upload it email [email protected] and I will send it to you. My name is Kendra Nehring, I'm an adoption counselor for Kentucky Humane society. This is a rather odd email for you, I'm sure, but I had a customer suggest I get in contact with a German shepherd rescue group regarding an alleged 7year old pure breed we have at my KHS location. She's been with us for about two weeks now, I believe she may, possibly, find a good home, eventually perhaps... However she's an old girl, clearly has some serious anxiety (adopted out of KHS as a puppy, returned last year for "aggression" issues - which she clearly doesn't have, adopted back the following day by the same owner who surrendered her, and then surrendered this year for "financial issues." Albeit, this dog need some vet care - possible urinary tract infection which she is on antibiotics for but not actually been vet checked for, hip dysphasia, severely underweight etc.. Several customers have sadly commented on how pretty she is, but no takers - her adoption fee is $205 with shots, microchipped and theoretically spayed (although no one knows with her for certain). She's trained to sit, come, stay, lay down, shake... But becomes extremely anxious when away from myself or one of the other adoption counselors here (she's bonded this poor dog is really honestly breaking my heart since she's such a wonderfully furry friend, but very much needs more vet TLC and possibly fostering than KHS is willing to offer - I can't afford a $205 dog and I work full time otherwise I would've adopted her by now.... Again this is probably a strange email, but is there anything you can possibly do to help out this dog? Thanks a bunch, I appreciate your time spent in reading this rather lengthy email! She is very pretty. Have you already contacted local rescues? Does the shelter allow out of state adoptions? No offense to your shelter, but $205 seems like a high adoption fee for what I assume, is a rural shelter. I am in Baltimore. Shelters in my area range from $65.00 to $195.00 - fully vetted and microchipped. Does your shelter offer a less expensive pull fee for rescues? Can you provide any additional information about her? Is she good with other dogs, cats, kids, etc.? Does she have any resource guarding issues? Anything you can add would be helpful. You are doing a wonderful thing. Thank you for trying to help her. OK, Wait. I was confused. You are not the person from the shelter. Kendra sent "you" the email. I saw you on a list of GSD rescues. Are you no longer doing rescue? It would probably be best to send Kendra a list of rescues to contact. The rescue section here is not very active any more. I can send Kendra a rescue link. Here is "Honey's" link. https://www.petango.com/webservices/...742&css=http:/ She is considered a "Legacy" dog. These pets are considered more desirable. The idea is that charging more for these pets, helps other less adoptable pets. Personally, I don't care for the idea. Seems unfair to the "expensive" dog who is sitting in the shelter not getting adopted. JMO. 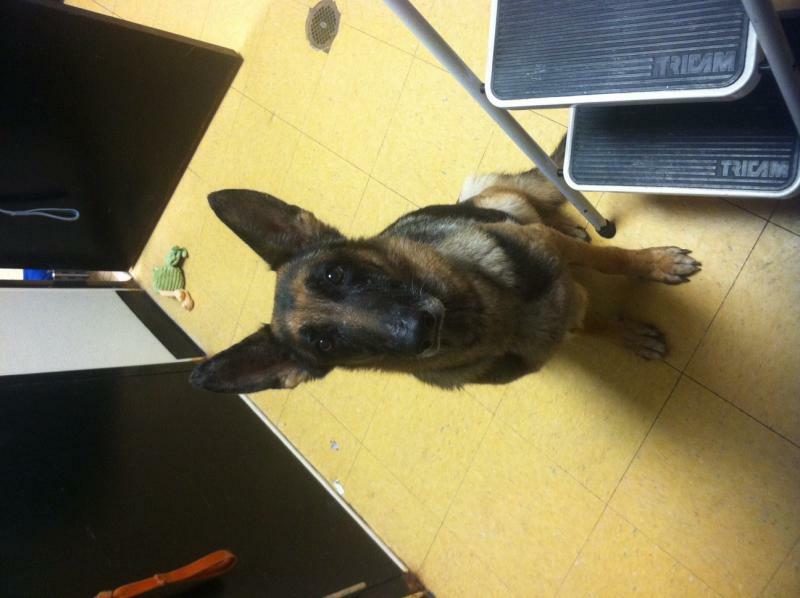 I emailed a link of GSD rescues to Kendra and asked her to provide any additional information. Here is the additional information I received from Kendra. Honey sounds like a very sweet girl. "Yes, she's phenomenal with kids, fine around cats and hasn't shown any aggression towards other dogs (have done a few meet and greet with her and other animals. No aggression issues that I or anyone at our facility can see - she's very sweet, trained (sit, come, down, paw, heal, potty, etc.) lived with other dogs previously and no resource guarding issues... She's an ol thing who just needs TLC and vet care. No issues with out of state adoptions - no additional fee or anything, it's a fairly relaxed system compared to some of the other no kill shelters in the area. And I have no idea about the reduced fee for other rescues. KHS works with the husky rescue and Pit rescue groups in Kentucky with no problem though.... Hope that's helpful! Again, thank you so much for responding to my message. I've emailed at least five rescues that I could find and you're the only person who's responded with helpful info so far thank you!!" In my current location (in the city) I am now at my limit, as far as I can find there are no active rescues in Kentucky. I received an email from Kendra. Honey has been adopted.